This little boutique has some very unique jewelry and is definitely worth your time to stop in for a visit! 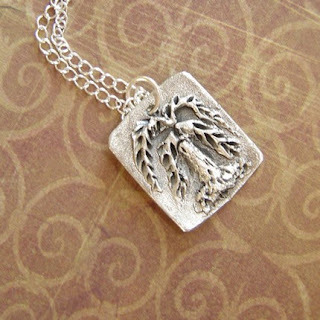 From the beautiful fine silver pendant necklaces, to the unique artwork the whole shop is a great find! This particular necklace was a favorite of mine but it was hard to choose! Stop by and take a look at what Bliss has to offer you!